Here we are with a new Lottie and Lisa - I love those Sundays so much! I picked a not-yet-released stencil from Create A Smile do add some subtile hearts to the circle panel and I really really love how this turned out. It adds a special touch without overloading the card. This is so cute!! 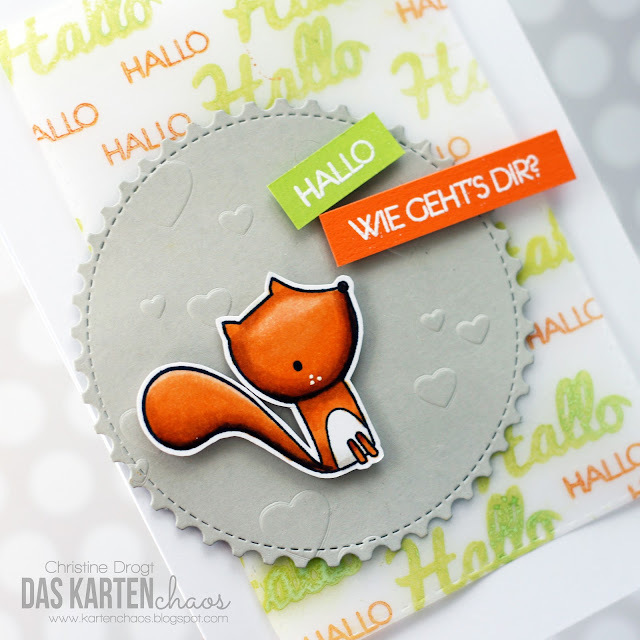 I LOVE the dry embossing and your cool vellum paper! !